B.R. Howard was contracted to provide conservation services for this 42lb "Long Tom" cannon. When the cannon first arrived to BRH's studio, the cannon tube was craned from the wooden carriage and placed on a custom fabricated stand to allow easier maneuvering during treatment. Debris was removed from the interior of the barrel and paint samples were sent for cross-sectional analysis and photo-micrograpic documentation. The paint on the trunnion ends and engravings found on the cannon tube was removed or greatly reduced using a paint remover. The cannon was then coated with commercial grade paint stripper which contained a phosphate when combined with lead paint renders it insoluble and virtually, non-toxic. The cannon was then pressure blasted using sodium bicarbonate. 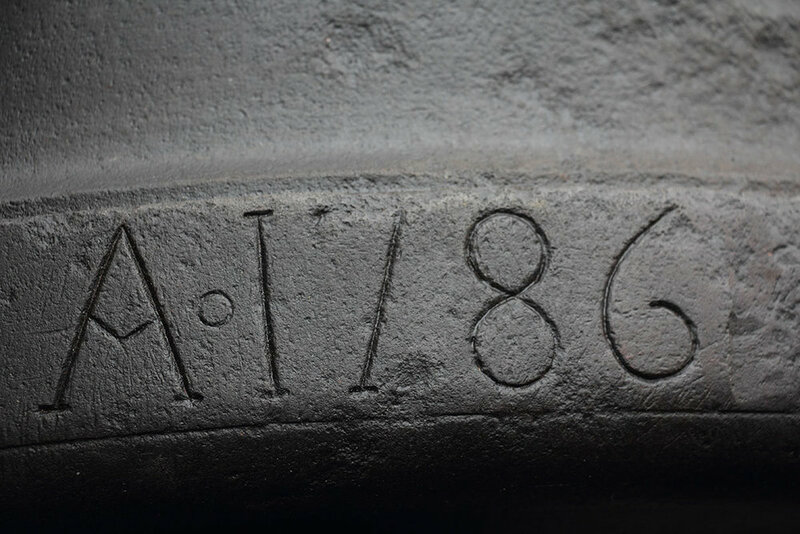 In collaboration with the curatorial staff, it was decided that the protective surface coating should be one that minimally lessened the legibility of the engraved inscriptions and tool marks found on the cannon. The cannon carriage was cleaned, hand sanded, and repainted. The metal plaques were cleaned, coated, and reattached before reuniting the carriage with the cannon.